From itinerary management to itemized expense reporting, Concur gives you the tools to simplify travel from start to finish and helps you stay within policy. Enrolling in My Travel Network helps you say goodbye to paper receipts from participating vendors and finish expense reports faster. 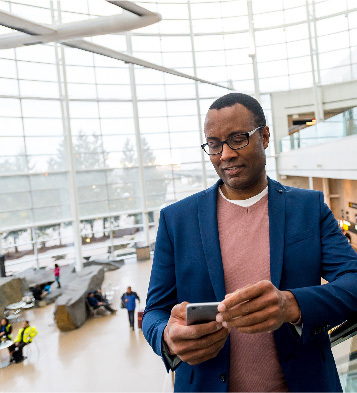 Connecting your profile to your frequent traveler accounts allows everything to be organized in Concur. Downloading the TripIt app lets you access your travel plans anytime, anywhere–whether it’s a business trip, family vacation, or quick weekend getaway. As a part of your managed travel program, Concur gives you full support with great benefits before, during, and even after you travel. Experience streamlined business travel by completing a few simple actions. Learn more on our Traveler Benefits page. Before you travel, My Travel Network helps you manage and organize frequent traveler accounts. Easily add frequent traveler accounts to keep your Concur profile up-to-date. Check out these guides for an overview. Enroll and add frequent traveler accounts to your Concur profile. Whether you’re traveling for business or leisure, TripIt Pro keeps you one step ahead with notifications about gate changes, delays, and when a new seat becomes available. The savviest travelers pay to use TripIt Pro, but you have it as a benefit of your company. Activate your complimentary subscription of TripIt Pro. Learn how. Connect your TripIt account to your Concur profile. Your trip might have ended, but Concur isn’t done helping you. If you’ve enrolled in My Travel Network and added frequent traveler accounts, you will see receipts from your trip waiting for you in Concur Expense. Review, edit, and submit your report with just a few clicks. Now that you’ve seen the fantastic benefits, it’s time to get started. Have Concur streamline your future business trips. Follow the three steps below to start simplifying travel today.